Totman was a Price Research Fellow at Nuffield College, Oxford University, so has an academic background that should have made it possible to look into the kathoey persona with a dispassionate eye, though he does admit in the introduction that it was not a strict social-scientific study. Totman interviewed 43 kathoeys for this book, and I have left his spelling as “kathoey”, even though I believe the Khmer spelling “katoey’ is the more usual in Thailand. In the early chapters, he makes an attempt to explain the kathoey in medical terms, with Klinefelter’s Syndrome being put forward; however, even Totman agrees that all kathoey do not fit into this medical mold either. Blurring of the gender boundaries has also been noted in historical documents from the 16th century in Thailand, writes Totman, so the kathoey phenomenon is not new. Interestingly, Buddhist thinking actually encompasses four genders, male, female, male kathoey and female transgenders. An observation that is probably much closer to reality than most people imagine. He also spends much of the book looking at the connection between animism, which is still very strong in Thai society, shamanism and the kathoey movement. Totman takes three kathoey to be examined in depth, though again, much of these chapters remain anecdotal, rather than truly scientific studies, but his examination does show them to be ‘normal’ human beings, subject to all the stresses of Thai society, including poverty and thus pushed into prostitution, though to his credit, Totman does show that prostitution is often taken up as an ‘easy way’ to make money (as it is for the male and female population). Interestingly, Totman quotes that only 5 percent of prostitution is for the tourist market, with the other 95 percent being for the Thai population exclusively. 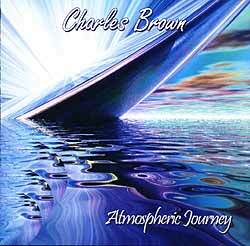 Charles Brown has been around on the American music scene for over thirty years now. Although he has never exactly grabbed the limelight his work has always been held in the highest esteem by his peers. It is the variety of his work, and the combined influences that have at times been the reason for holding him back from being held in the same regard as other musicians of his calibre such as Joe Satriani, Steve Vai, or even Robert Fripp. As I have often said there is nothing wrong with an artist showing his influences, as everybody has them. There is not a guitarist alive that does not have to give a nod to Robert Johnson, Jimi Hendrix, Jimmy Page or some other worthy that has gone before. All the previous three can be heard somewhere along the line on this album, plus quite definitely some Ritchie Blackmore, and I believe that Charles Brown may have listened to a Peter Banks album or two. As well as guitar influences there are also elements of jazz with perhaps Pat Metheney coming to mind, whilst in general French Baroque styles are incorporated, Renaissance music, and the Classics have not been overlooked either with ‘Allemande’ from the great composer Bach being suffused into the closing piece of music. This may at first sound a little harsh, and imply that Charles Brown’s music is not original and inspiring, far from it. Only his name could have been changed not to have conjured up images of a little boy falling flat on his back every time he tried to kick a football. Charles Brown has welded all these elements together and come up with a really fine musical experience, the equivalent of a finely painted landscape of the musical spectrum from full out kick in the stomach heavy metal riffs to highly polished classical acoustic guitar picking. The album is broken into two parts: firstly there is the title track ‘Atmospheric Journey: The Suite’. This comes at you in seven different segments, and clocks in at twenty five minutes long, holding your attention every minute of the way. This is followed by fourteen minutes of ‘Encore’ which is broken into four sections. To grab your attention from the get go is opener ‘Prelude and Allegro: The Awakening Sky’. In true rock ‘n’ roll style the amps are tuned over eleven and Charles Brown lets rip on some Heavy Rock style guitar making sure you are paying attention. It is the musical comparison to putting someone in a neck hold. The guitars are double layered one over another to give the sound of a whole guitar orchestra thrashing away, leaving plenty of room for gritty rhythm guitars, plus all of the widdly diddly guitar overdubs that we all so love here in Thailand. With the Charles Brown style of guitar playing, if you have got it flaunt it. Why play one note when a hundred can be played at supersonic speed in the same time period? Awe inspiring stuff. The first two sections are not so much brought to your attention but battered into your subconscious, good solid rock that the likes of Satriani and Vai would be as well to put back into their recorded work before people start losing interest. Once Charles Brown has got your attention and has you sitting up in your seat he is able to take the foot off the pedal and show off the other products he has available on his counter. For the third section of the Suite we are for the first time introduced to the Brown acoustic guitar (unless there is some multi-layered acoustic guitar underneath the carnage of the first two sections). This drifts into a short introduction piece aptly titled ‘Journey to The Clouds’ for the first time featuring some subtle keyboards played by the talented Steve Espinosa. These ideas are further expanded on the following part of the suite ‘Storm Passage’ (the name of each part of the Suite is more or less self explanatory), where the lead electric guitar is brought back to the fore, but not before a Purple style instrumental battle between the six strings and the keyboard. The solo that brings this part to its conclusion can only be described as blistering. As in a fulfilling walk, if ‘Storm Passage’ brings you to the top of the hill then the next piece ‘Atmospheric Change’ leads you gently down the other side and back to safety. It’s a charming acoustic guitar number with some atmospheric keyboard work layered on top. A brief interlude between guitar and keyboards leads us to the climax to the Suite. As is appropriate all of the aspects of the suite are shown off to fine effect in the finale, but ones ears cannot help but be impressed and drawn to the dazzling six string work, which again ignores the torpedoes and heads in for the kill, a truly masterful and complete instrumental workout, which I have not heard topped by any of the other contemporary musicians of the day. The ‘Encore’ section of the album is certainly no filler material, but rather four separate instrumentals. Featuring different aspects of Charles Brown’s skills, the jazzy feel to ‘Maroon Sunrise’ is perfectly placed to relax you after some of the more frantic sections of the Suite, showing off Charles Brown’s ability to slow things down and make every note count, if the need so requires. ‘Emerald Wind’ sees the acoustic guitar given a complete workout in almost a hoedown style. Just when you felt you could categorize Charles Brown he goes and pulls another rabbit from the hat, fitting in perfectly with the taste of the album. ‘Slow Burn’ is exactly that, the guitarist lights the blue touch paper, and then it is stand back in amazement as he lets loose with some stunning guitar pyrotechnics, interspersed with some gasps for air with keyboard or acoustic guitar fills.